Private Drama is in the thick of planning our spring Showcase celebration, taking place at the end of February in a secret and enthralling new location. This annual party has become our flagship event, and it’s an homage to all the talent both on stage and behind the scenes at our client events throughout the year. It’s an event planner’s dream project, giving free rein to flex our creative muscles and illustrate yet again what goes into a Private Drama event. Since our Creative Director Adam had the brilliant idea to organise a client Showcase in 2006, we haven’t looked back. What better way to package up all the wonder and pizazz of our collective event design expertise and present it to our biggest supporters, clients, friends and the media? The Showcase is the jewel in Private Drama’s crown. We obsess throughout the year about which creative theme will inspire and delight, pulling out all the stops to create a memorable spectacle. This year’s literary and cryptic concept is ‘Feasting with Panthers’ – think sultry, authentic, glamour, amazement, and…danger. Every Showcase always provides perspective, whether it’s assessing the challenges and results we achieved, briefs we rewrote or seeing the awe-struck faces of guests watching our performances. Particularly when I reflect back on 2013, we have so much to celebrate – new clients, increased strategic focus on our business, and our evolution as a whole. It was another standout year for large-scale, corporate projects, several requiring a strategic touch to marry discreet industries with hugely creative theatrical performances. Maintaining corporate identity whilst giving guests goose bumps is far from an easy tightrope to walk, but one that we are known for delivering. Someone asked me the other day, what are your greatest hits? And that made me realise once again the amazing projects we’ve been trusted with, often for repeat clients. The first that came to mind was an exquisite award ceremony event we planned in 2006, our first Showcase year, for a blue chip corporate client and their 250 VIP guests. The event theme was representative of a journey that all the guests had made in order to arrive at the Awards ceremony. Following canapés and drinks, the guests were summoned to the dining room, which we had transformed into a train station platform, and they were greeted by the front elevation of an old-fashioned life size train. Then with a loud whistle, followed by the roar of an engine and a blast of smoke, the entire train began to rotate 90 degrees to reveal a cross-section carriage of the Orient Express. Once the smoke cleared, one could finally make out the carriage interior, and amid all its velveteen and leather glory, was the evening’s celebrity host sitting comfortably on one of the banquettes, receiving rapturous applause. In 2012, Siemens asked us to transform the colossal canvas of the Crystal Building for its grand opening. The Crystal is not only an architectural feat of cutting-edge technology innovation, but also the winner of the highest accolade in sustainable design. We wanted to plan an event that met strict environmental standards, and supported the ethos of The Crystal. Guests were treated to a canapé reception featuring locally sourced ingredients in the surroundings of the brand new Sustainability Exhibition. Tech innovators, media and glitterati then took their seats in a specially constructed grandstand, overlooking an outdoor extravaganza of performers set against the backdrop of a unique video-mapping feature, cast on the exterior of the building. Smart technology was the star of the performance! 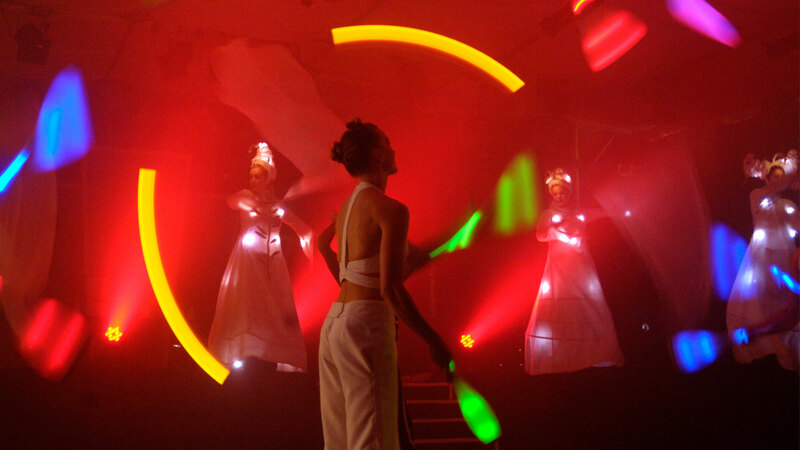 Our intimacy with the performing arts leads to extraordinary event themes. A very recent celebration for a blue-chip corporate client resulted in the first-ever bespoke performance from the cast and orchestra of the Royal Opera House at an external venue. To have the trust of the ROH to successfully deliver this was a thrilling testament to a long-standing partnership we enjoy within the theatrical universe. 2014 is already gleaming brightly with potential and possibility. We’re inspired and eager to explore themes that have the event world buzzing, from Brazilian Carnival to Prince George’s 1st birthday, to the winter Olympics and so much more. So many reasons to celebrate, how will we have time for them all? Our New Year’s resolution is simple – create even more spine-tingling, breath-taking moments. With our ‘Feasting with Panthers’ Showcase next month, we think we’re well on our way of doing just that.